Located across the bay from Pensacola, Gulf Breeze is great for snorkeling, hiking or birding at Gulf Islands National Seashore, a nationally protected park. 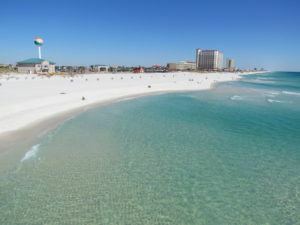 Gulf Breeze also offers terrific seafood and inviting beaches. And don’t miss the 50-acre Gulf Breeze Zoo. It is home to some 1,000 animals, including giraffes, coatimundi, rhinoceroses, zebras, gorillas, giant tortoises, squirrel monkeys, otters, alligators and hippopotamuses. Gulf Breeze visitors are especially smitten by the zoo’s raised boardwalk that provides a vantage point for viewing herds of deer, wildebeest, ostrich, cape hunting dogs – and islands on which chimps and gorillas roam free. Harris insurance has been providing business insurance, home insurance, auto insurance, and life insurance in Gulf Breeze Florida for 52 years. We are a local, family-owned, independent insurance firm in business since 1964. Our goal as an insurance provider is to protect our clients from potential financial loss while providing the best value from the insurance marketplace. Get started protecting your family and business today. Turn to our company for business, home, auto, and life insurance in Gulf Breeze, FL. With our years of experience, we can help you find the right insurance plan for your family or business. We’ve worked in the area since 1964, making us the oldest personal insurance brokerage in the Gulf Breeze area. With access to more than 150 different insurance companies, we can help you find the exact plan to match your coverage preferences and your budget.